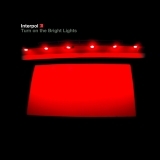 "Lord kill the pain, Don't want to ask you again"
Turn On The Bright Lights is ranked as the best album by Interpol. Members who like this album also like: OK Computer by Radiohead, Kid A by Radiohead and In Rainbows by Radiohead. La Santa, Santa Ana, United States. Red Rocks Amphitheatre, Morrison, United States. Arvest Bank Theatre at The Midland, Kansas City, United States. The tracks on this album have an average rating of 87 out of 100 (all tracks have been rated). Related links: top tracks by Interpoltop tracks of the 2000s, top tracks of 2002. Showing latest 5 ratings for this album. | Show all 1,274 ratings for this album. Related links: top albums of the 2000s, top albums of 2002. What's the fuss about? A generic, run-of-the-mill, alt/pop offering. The original and best pot-punk revival album. 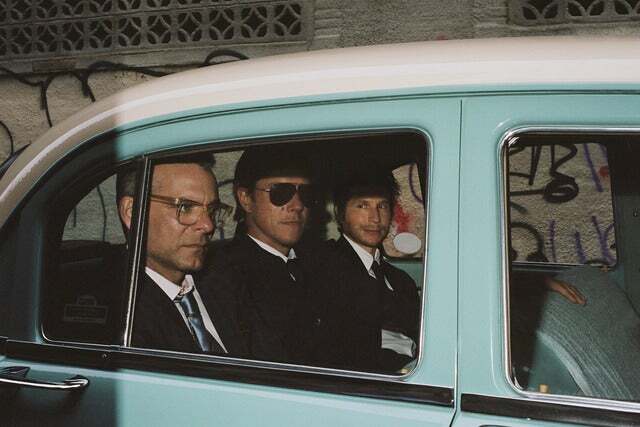 A true classic with a fantastic mix of fast angular rock and drawn out atmospheric post-punk. Good album. "Obstacle 1" is one of my favorite songs of all time. SOOO much better than Antics, you can distinguish each song from one another, and the band chemistry is crazy. Great drumming too. Track ratings for this album are dead on too. Good stuff but little variation across the artist's oeuvre. As a single, isolated album I enjoy this. Begins very strongly with some well crafted songs, but as the album progresses it starts getting pretty repetitive and it becomes difficult to distinguish the songs from one another. The guitar lines are never too dynamic and are almost entirely made up of a consecutive crapload of eighth notes. There are some similarities with the Strokes, except here the songs feel a lot sadder, which is not necessarily a bad thing. There might be some Smiths influences, as well as Television. Obstacle 1 sounds like a short, modern version of Marquee Moon, and both songs are great. The album might grow on me, but for now I can only say it's not bad, and that the first half is pretty great. I can't say the same for the second half.